The Taking of Tiger Mountain (TToTM) felt like Season 4 Episode 9 of Game of Thrones to me - the battles to take over a fort/stronghold, animals, blood, violence, strategy, infiltration, spies, and snow. Even the characters are almost similar - GoT has Ugly Wildlings versus Humans, while TToTM has Ugly Bandits versus Humans. 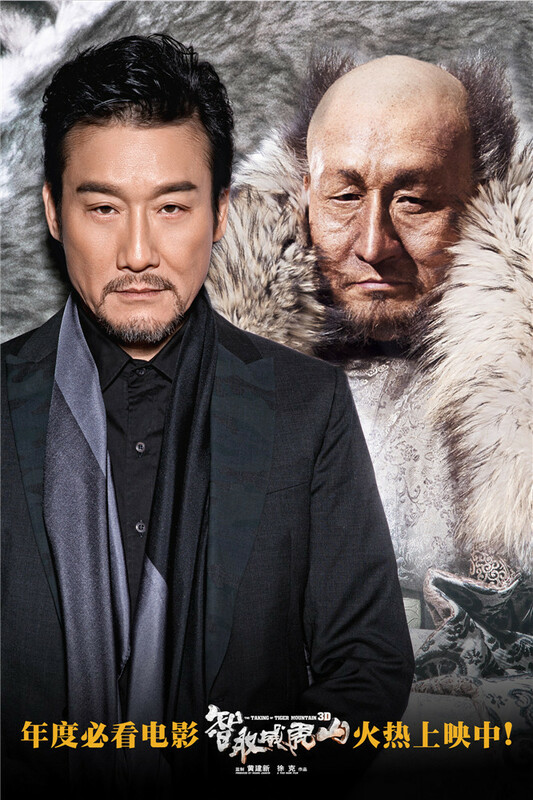 If you like Game of Thrones, you would love this Chinese movie version of the GoT episode. "Dear Diary: My buddy still peeps at me when I write my diary. I don't even bother trying to hide from him anymore." 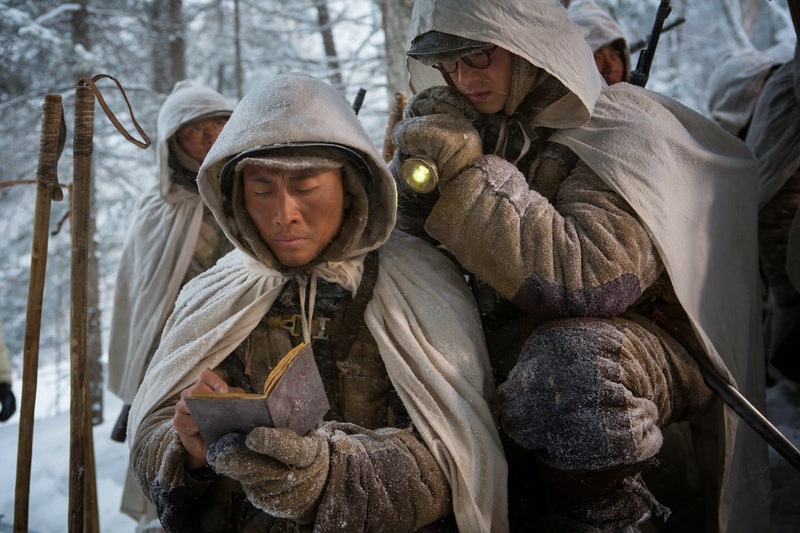 Synopsis: Set in the 1940's during the Civil War period, this movie is essentially about a group of People's Liberation Army (PLA) soldiers (In Singapore it's called SAF) versus a band of bandits up in a mountain. If you cannot recognise which one is which during the fights, just remember that the bandits are the dirtier and uglier looking ones. 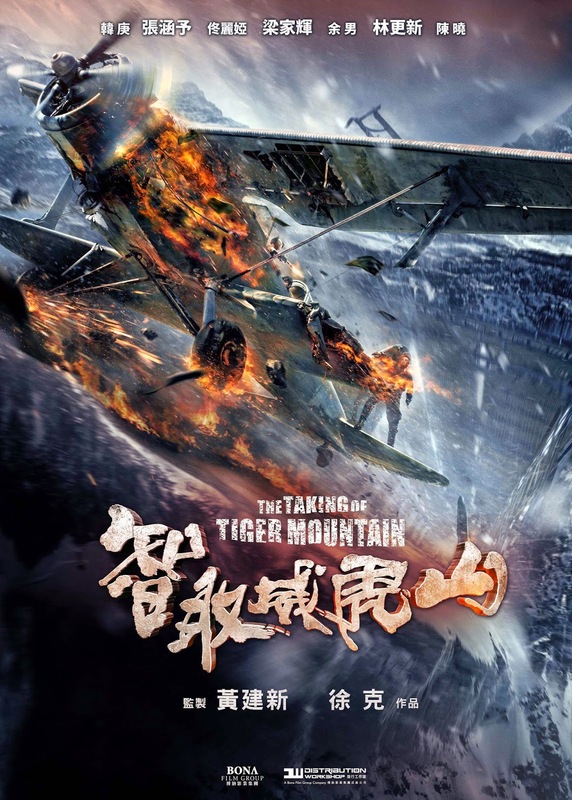 But really, this movie should have added a few more words to their title - The Taking of Tiger Mountain by a spy. Yes, the spy infiltrates the bandits' camp and provided the PLA about their weakness, group strength and fighting strategy... Just like how Jon Snow infiltrated the Wildlings camp to gain information for The Wall. I have a strong feeling that the director 徐克 is a Game of Thrones fan. Review: The never ending snow makes the cinematography of this film gorgeously beautiful. I loved how the set of the bandits camp was set up - it was elaborated, with attention to details, especially the scene where Lord Hawk celebrated his birthday. The candles, the high ceiling and the amount of ornaments that decorated the Tiger Mountain was lavishly stunning. The CGI effects were pretty well done for an Asian film, which is done by Korea's Dexter and Mofac studios (they were also the one in charge of the special effects for one of the Jackie's Chan movie Zodiac in 2012). 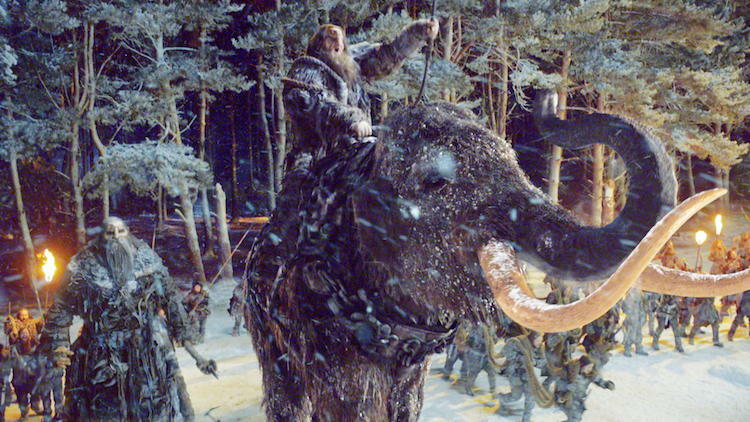 In one of the scenes, the spy named Yang Zirong has to battle a Siberian Tiger, which showcases the impressive CGI skills the studio has, but it makes you wonder the significance of that scene. Another 画蛇添足 (a Chinese idiom meaning "to add something superfluous that ruins the original effect) scene is an "alternate ending" timeline in which Yang Zirong fights Lord Hawk in an airplane runway. Other than showcasing the CGI prowess, it is yet another few minutes of screentime that is totally irrelevant and unnecessary to the main story plot. Stay back for: A brief information about the spy (Yes this is inspired by a true story) and a group photo of that particular platoon. Fun fact: If you have seen the movie, you would have grimaced at the sheer look of Lord Hawk. But, you have a funny feeling that he looks FAMILIAR. "Yes, am I familiar to you?" 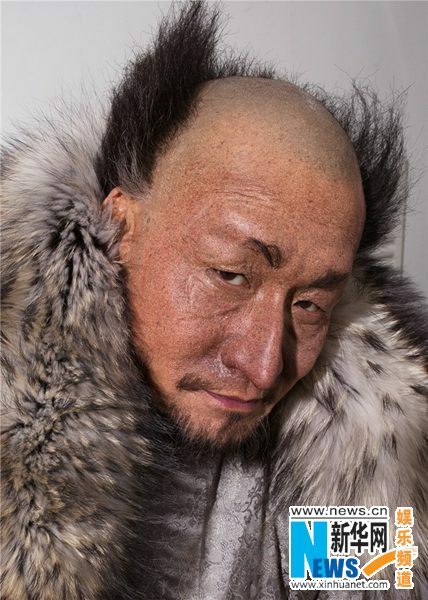 Well, he is played by TONY LEUNG 梁家辉! As always, thank you Clover Films for the special preview tickets to The Taking of Tiger Mountain! Like their Facebook page for the latest Asian movie previews and contest giveaways!